Please note: All customised / personalised products are specially ordered from the respective supplier. Your order can take an average of 2-3 weeks to manufacturer and we will despatch your order on following working day after receipt. Special Terms and Conditions apply for all customised and/or personalised products (see below). 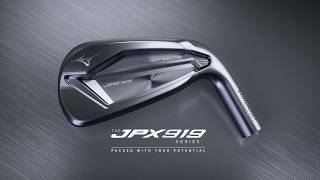 A benchmark in iron design - the JPX919 Hot Metal combines an incredible balance of launch speed and soft, controllable landing angles. 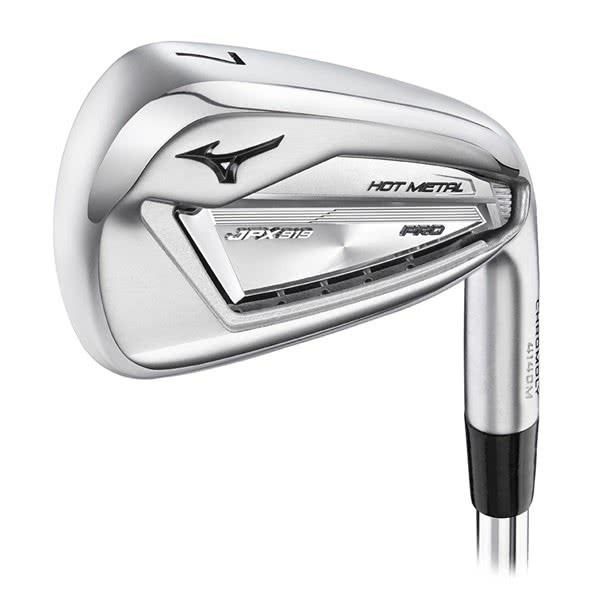 The use of a high strength Chromoly 4140M and seamless cup face construction produces the highest ball speed from any Mizuno iron. 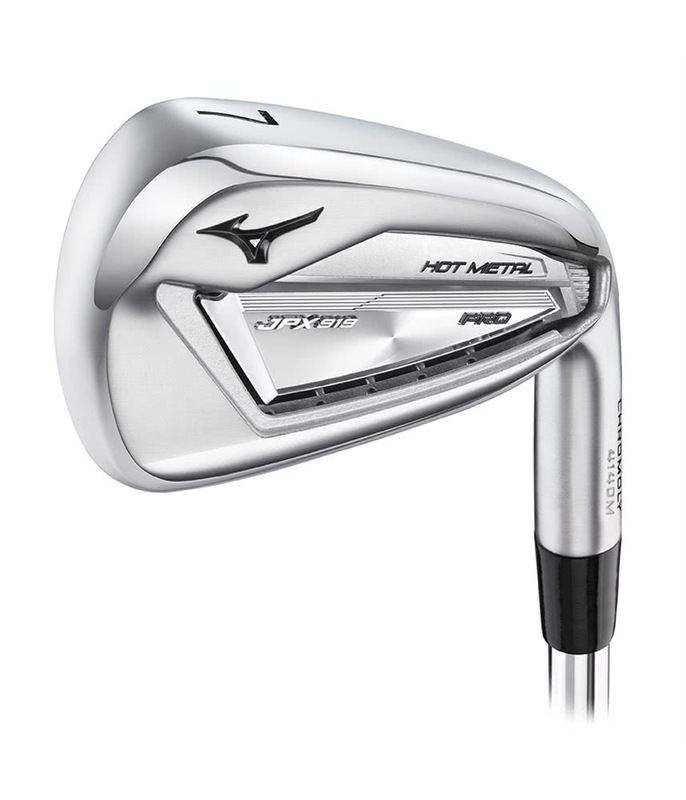 Mizuno’s new stability frame ensures that each iron within the set produces the correct flight apex – with landing angles steep enough to control shots into the green. Chromoly 4140M: Highly resilient material allows new multi-thickness face for astonishing ball speed and feel. Seamless Construction: A one piece cupped geometry produces a surprising level of feedback at high ball speeds. Stability frame : Open at the heel portion to enhance stability, launch and loft appropriate flight apex for soft landing approach shots. Re-engineered Sound Ribs: Developed to hit specific vibration patterns identified as delivering a satisfying sensation through impact. Pearl Brush : Chrome plating with a new more durable pearl finish to soften the 919s precise lines in high sunlight. Modified scoring irons: A steeper transition into more compact scoring irons and wedges.